At 19 weeks, trusty Emma’s Diary says that my baby is 6.5 inches (17cm) and 9 ounces (250g). So that’s slightly bigger than the rulers you take to school in your little pencil cases and heavier than the amount of flour you use to make 12 fairy cakes…that’s how I think of it anyway! No reference to fruit again, which is sad. Still haven’t felt any movement, but my friend and cousin-in-law are reassuring me that they hadn’t either at my stage, so trying not to get to worked up about it. I know that it’s nothing to worry about, but i just feel jealous of all the mum-to-be’s on the forums I go on that have felt theirs now. I want to feel mine! Mainly because I’ve been having these horrible nightmares about going for a scan and the nurse telling me my baby’s died. I know it sounds really morbid and horrible, but I can’t help it, I wake up crying my eyes out until I manage to exhaust myself back to sleep. All I know is that I’m not moving anymore. Even if we do end up getting together, I’m staying in my town with my family. I need my mum and sisters, I can’t bear to move to a different place and do it all alone. He says I won’t be alone because his family are there, but that’s not the point. If he wants us to be a family, he can move here. I’m putting my foot down. I need support that I can’t get if I move. He might say I’m being selfish, but I need it. But I’m happy in myself, I’m counting down the days till I find out if I’m having a little boy or a little girl! And when I feel him/her moving, I know it’ll be an amazing moment. Fingers crossed next time I write I’ll be feeling something! 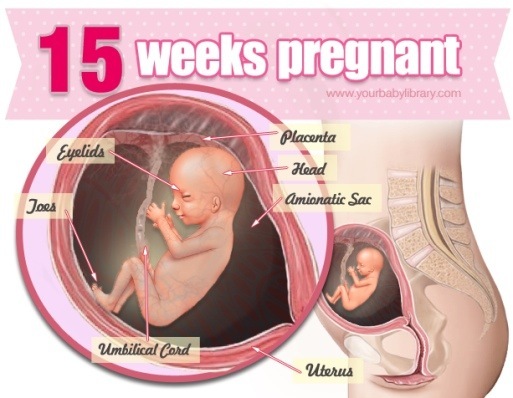 My baby is now supposed to be 15cm (6inches) and weighs about 7oz (200g). No comparison to a fruit on Emma’s Diary this week, how sad. 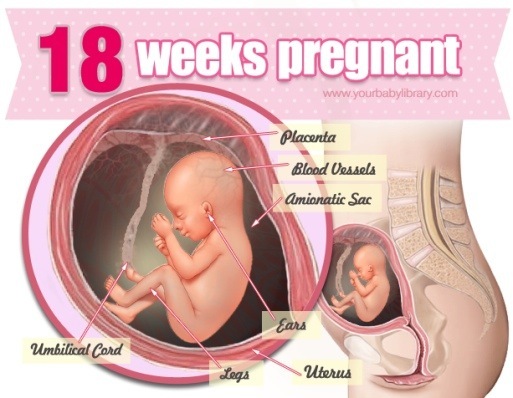 Apparently because the baby has so much room inside me it’s always swimming around and jumping and stuff, I still haven’t felt a thing though. However, I have a friend that’s 20 weeks pregnant, she says that she felt a kick the other day and it’s made her realise that all these little feelings that are similar to indigestion and gas were actually the baby…so maybe that’s the same with me! I’m not sure what else I should say at this point. I was hoping to share this diary with my baby in the future, so I have to be careful. I wish I could see how everything is in a few years time. At the moment me and Paul are arguing almost everyday and it’s getting to the point where I don’t know if we should stay together. It’s a horrible situation to be in. I love him so much, I always have and probably always will, but I can’t cope like this for much longer, and I need to think about my baby before myself. Sometimes I just want to stay at home with my mum and do it alone…but the baby deserves a proper family…but is that still the case if the family is so dysfunctional? I just feel so upset all the time. I have no idea what to do, or even what I want. I barely even write anymore, used to be rare that I’d go a whole day without writing…but now I haven’t written a word for weeks. I’ve never felt so unlike myself. Then I start feeling guilty, I should be enjoying this, I should be thinking about my baby and smiling and excited. But all I can think about is how scared I am. About everything. I’m so weak. Is it right to leave a relationship full of arguments and tension to bring up a baby alone? How is it possible to make that break when you’re still in love…? Everyday I hurt, when I should be full of joy. 17 weeks! It seems to have gone so fast but so slow at the same time. Emma’s Diary says my baby is about the size of a small melon (fruit again! ), 5 inches (14cm) long from the top of his/her head to his/her bum, and if my baby could stretch out he/she would be about 9 inches (23cm) long! It’s hard to believe there’s something that big inside of me, especially when there’s no physical evidence of it yet. We have our next scan in 3 weeks! I’m more excited than nervous about this one. I can’t wait to find out if our little one is a boy or a girl, I really hope they can tell us, sometimes they can’t see it can they? Still haven’t felt any movement. I googled it and apparently loads of women don’t feel anything this early either, so nothing to panic about. I saw my midwife on Friday and there is a complication. I have rhesus negative blood, which could be bad for the baby. Now, I’m not going to try and explain it all because I barely understand it myself, but basically my blood cannot mix with the baby’s blood, as it’d be really harmful for both of us. As long as I’m careful, everything should be fine. My sister has it too, and her and Chloe are both fine. So apparently little Midge is now the size of an orange! Why is it always a comparison with fruit? Strange. He/she is now over 4 inches (10cm) long and weighs around 2.5 ounces (75g). According to Emma’s Diary the baby is extremely active wriggling around inside me and spends a lot of time frowning and grimacing – just like I have this week! They say after 12 weeks in the second trimester all the sickness should stop and you start really enjoying the pregnancy glow and stuff. Typically I am always different to the majority of people! This week has literally been hell. I’ve been so ill that I couldn’t even get out of bed, just raising my head made the world spin and I couldn’t keep any food down for 2 days! I was really worried about Midge, but Paul said it’s probably fine and the baby will be bobbing around all buff like Arnie from all the stuff it’s been stealing from me and making me sick. That made me feel a lot better actually. When I started feeling a little better I managed to get to Paul’s for the weekend, it was his dad’s birthday so we all went for a meal. I’ve never really got to know his family very well, and I suppose now that we’re having a baby and starting our own family, I’m expected to. I’m incredibly socially awkward so I was naturally dreading it. But it was actually really nice, and Paul’s nephew (Midges cousin to be) is a scream. Even though he’s not particularly happy that they’ll be sharing grandparents after years of being spoilt rotten by them, which made me laugh. Me and Paul are getting closer than ever too, which I love. I put up with his boring football at the weekend and he puts up with my love of Ant and Dec (even if he complains about the reflection on their foreheads). We’re seriously considering moving in together sooner rather than later, so that’s kind of exciting and scary at the same time. I suppose most couples are already living together when they have a baby…but who am I to be normal? Just before I go, I suppose lots of pregnant women have feelings on whether it’s a boy or a girl, but I really do think Midge a boy! Whenever I go to talk about the baby I automatically say and think him or he. Maybe it doesn’t mean anything, but especially since 2 other people I know that are having babies know that they’re girls, I swear mine is a little baby boy!